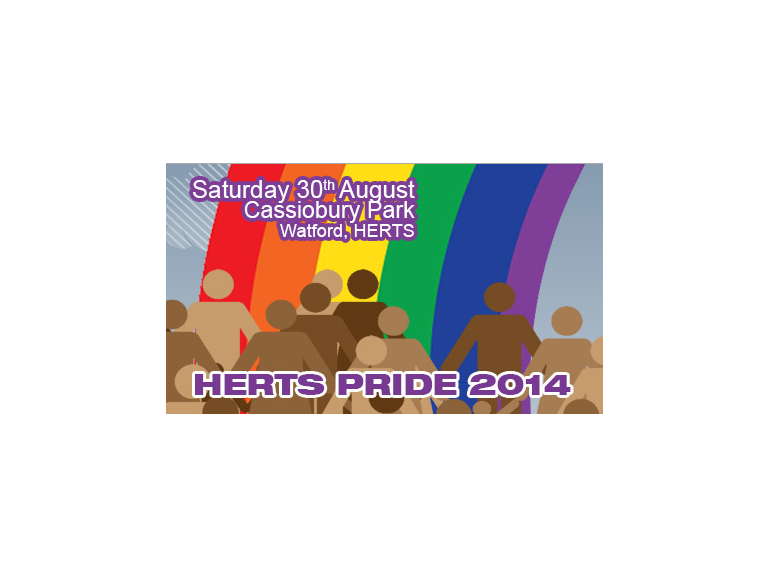 After a highly successful event last year, Herts PRIDE 2014 is back with a bang in Cassiobury Park, Watford this Saturday for the second year running. HertsPride is all about promoting a positive vibe towards attitudes of the lesbian, gay, bisexual and transgender (LGBT) community and focuses on the diversity and individuality of us all! There’s lots planned to keep everyone entertained including a fun fair and as a family friendly festival that’s free, it’s not one to be missed. The festival looks to be a hit, with the weather forecasts predicting the sun to shine, the tents have already been set up for the acts in the community area including Lemon, Tom Craven and Swoon – to name but a few, what better way to enjoy your Saturday? There’s also a wellbeing marquee, food stalls and the market zone for you to pick up a bargain and not forgetting there’s also a VIP and Cabaret marquee with a licensed bar and it’s own line up of super talented and diverse ‘artistes’ – it’s £5 for a wristband to the cabaret marquee, £15 for VIP and cabaret marquee or £20 for access all areas (which includes the Load of Hay in the Park package). So what are you waiting for? Get GLAMED up and head out for a wonderful day!